Lothar Becker, a long-time member of the LibreOffice community (and previously of the OOo community), has been appointed Co-Chair of TDF’s Certification Committee, which has been chaired by Italo Vignoli since its inception in 2013, effective immediately. Lothar will manage certification applications and reviews, while Italo will focus on updating existing certification-related documents and developing new ones. 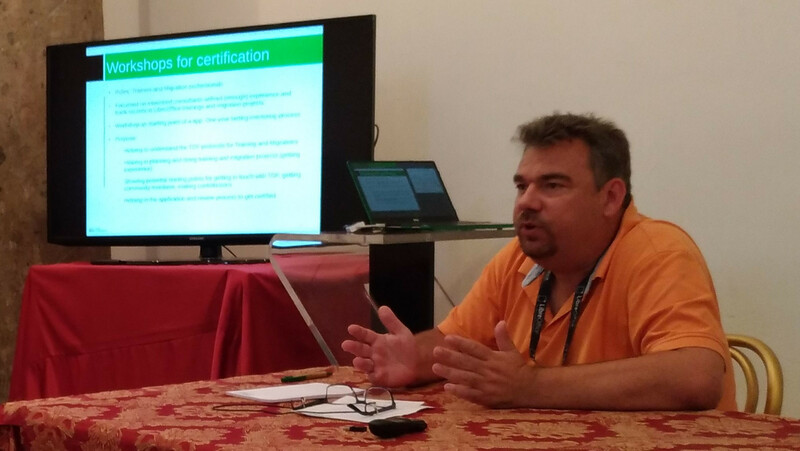 Together, Lothar and Italo will develop content for certification workshops, which will be planned starting from 2018. “Lothar has been instrumental for the growth of the certification project, as he has contributed in a significant way to all certification reviews, and has also pushed forward concepts which are now part of the certification process”, said Italo Vignoli. “After four years, it was time to share the responsibility with one of the people who has always believed in the certification project as a trigger of growth for the entire LibreOffice project, especially in enterprise and public administration environments”. The next Certification Review is planned for Sunday, February 4, at FOSDEM in Brussels. People interested in becoming either Certified Migrator or Certified Trainers, or both, should apply as soon as possible by filling the form on The Document Foundation website.